My participation in this meme was directly inspired by my new bookish friends: Avalinah + Savanah via this post! [Official Blurb] The Sunday Post is a weekly meme hosted by Kimba @ Caffeinated Book Reviewer. It’s a chance to share News. A post to recap the past week, showcase books and things we have received and share news about what is coming up for the week on our blog. This is your news post, so personalize it! Include as much as you want or as little. Be creative, it can be a vlog or just a showcase of your goodies. Link up once a week or once a month, you decide. Book haul can include library books, yard sale finds, arcs and bought books..share them! A note about the format I am using to journal #TheSundayPost: I am finding I like being able to give my readers who cannot visit my blog each time a new post, review or guest feature goes live a digest journal of what is happening on #JLASblog each week! If you are familiar with the style in which I journal my readerly adventures via #WWWednesdays (see also Archive) you’ll know why I like this journalled style for #TheSundayPost! It’s a way of talking about what is bookishly on my mind whilst sharing where my travels in Fiction & Non-Fiction took me through the last seven days! Quite stellar – so very thankful I was encouraged to participate as I love being able to think about which stories settled into my heart and which of the stories I am most eager to see arrive by postal mail and/or via audiobook! It’s a bit of a lovely way to journal your bookish life and have a weekly reminder of the experiences of you’ve gathered and love to remember! In regards to getting back into the groove with #WWWeds – I’m either going to make the meme bi-monthly or monthly which I’ll decide within the next fortnight. Hallo, dear hearts, welcome to an INSPY filled July,..
Finding my new pace & rhythm with my reading life has been the most difficult part of my Summer, as I had planned to *devour! * loads of #FantasyReads in May – heaps of #AudioReads in June – whilst July was meant to be stuffed to the gills with #INSPY stories spilt between Fiction & Non-Fiction! I was also planning to release reviews for the colouring books which I’ve happily enjoyed creating art inside whilst I’ve listened to audiobooks! Thankfully, as there is still a bit of time left to the month, I can run a series of reviews befitting my original goals for July (including those colouring books!). The main reason I was thrown off-kilter this year was due to the health reasons I previously disclosed after #WyrdAndWonder, yet what I hadn’t realised then, as I do know is how many after effects I truly had to trudge through in order to resume where I left off reading! This July, when I stumbled across the Christian & Clean Fiction Reading Challenge hosted by Singing Librarian Books – I had no idea how this would deeply impact my life! I blog about my passionate appreciation for INSPY Lit quite often even though it is not always as regularly as I would prefer – I’ve been striving for a better balance of stories being read/heard between both mainstream and INSPY markets – a goal I’ve had tucked onto the backburner for the 5 years I’ve been blogging on Jorie Loves A Story! → Call me crazy but I used the widget for the bookaways as a personal ‘self-check’ towards staying on my goals, keeping the ‘pleasure’ in my reading hours without the added worry of (should I blog, shouldn’t I blog) chatter whilst finding with each new day I was ‘recording’ my progresses – either by audiobooks listened to (as of now, I heard two) or books read (as of now, three) and a sampling of what I was microblogging on Twitter – you could say it proved fruitful for a girl whose angst was not just limited to her personal health but as a step towards reconciling how to be a ‘reader’ when she didn’t feel like being a ‘book blogger’. This is something I haven’t resolved in five years – as I was a reader before I was a blogger but I was also a reader in a semi-permanent reader’s rut at the same time – part of the reason I was having guilt over ‘not blogging’ is I didn’t want to backslide into a period of time where I was ‘not reading’ and thereby, erasing the process of the past five years where I have re-established myself into the genres I love and finding my own rhythm for how I read/blog/tweet my reading life! Another aspect of what was aiding my recovery post-migraines this July is the fact the Love Inspired novels were either Large Print, Larger Print or in the case of one of the Ms Worth novels “True Large Print” which for me felt GIGANTIC! lol I had started to notice this was something which was helpful to me as I was reading Harlequin Roms for some of the Prism Book Tours I was hosting throughout the past eight or so months? Those stories were generally in Large print themselves and being I had so many migraines to overcome, I noticed the font size being enlarged was a lovely step ‘back’ towards reading regular print! caught my heart & left me musefully happy afterwards!? *bookmark, FREE at my local library – I am in FULL agreement of the sentiment! For Laura Scott, you might want to check-out my micro-blog about reading her #CallahanConfidential first as I was on the VERY edge of my cosy comfort chair awaiting the ‘final’ chapter to see what would become of Kari & Marc! You forsake SLEEP reading these Love Inspired Suspense novels!! At least, I find you do! I couldn’t dare think I’d have to take a wink & a nod away from the action! You barely get to catch your breath whilst your reading the story-line as so much is happening ALL at once! Plus, I like how the heroes of the stories are charmingly honest, realistically relatable and have their own fair share of faults to round off the joy of reading their adventures! Seriously though – if you want a slightly lighter side to your Suspense Reads but with the full-octane of traditional Suspense, you ought to give Laura Scott a chance at charming your bookish heart! (Video) Author Interview | Jorie and Ms Chris (virtually) have a convo with each other and discuss the Road Ghosts series! This is #UrbanFantasy Jorie loves to read! Find out more about about the collective works of Jorie’s friend, Ms Chris! I have a very special *surprise! 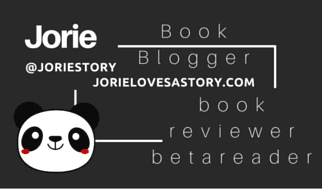 * for you, today is the dawn of a new interview series here on Jorie Loves A Story! 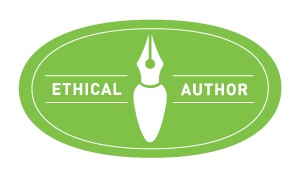 As you know, I love trying new ways to connect with authors & for the readers of my blog to enjoy the conversations I bring to my blog. I’ve hosted live interviews on my blog where authors respond to questions in real-time with readers as much as I’ve hosted author chats on Twitter; not just solely the ones I host via @SatBookChat. March, 2018 marks my 5th Blogoversary (on the 31st) here on Jorie Loves A Story – what better way to mark the auspicious milestone than to bridge into a new way of conversing with the writers I am appreciative for having crossed my path as a reader and as a book blogger? The first two lovelies will be focusing on two such authors – whose stories have enriched my heart & endeavoured to take my imagination further than I have travelled previously. They each write Speculative Fiction stories in niches of genre I had never known about previously until I tucked into their beautiful lovely novels and discovered new ways of ‘seeing’ Spec Fic! I have scheduled a third video interview this Spring by an author I hope to read one day – so you see, today is quite the special day! This is the first in a series of video interviews wherein I have found a way to new media outlets to reach out through the divide and interact with authors in a way which builds on the conversations I started five years ago on Jorie Loves A Story but allows this new portal of insight to draw us all a bit closer and have the opportunity to get to know each other on a bit more of a personal level of insight. I look forward to taking this journey with you and reading your reactions after you finish listening the conversations as they evolve. Although, these are vlog interviews – I encourage you to play them as they are embedded here, whilst having the JOY of reading my in-line reactions as I initially listened to them myself – seeing where the author & I each reacted to each other as we had this ‘virtual’ fireside chat and engaged in an intrapersonal way. If you use YouTube directly, I encourage you to leave a comment on there as well as on this post in the threads below. This way both I & the author will know your thoughts, listening to your thoughtful comments & the conversation can carry forward. Bless you if you chose to share the video or this post on your own social networks. Now, as you know – I am rather infamous for having delightfully in-depth conversations – therefore, before you hit the PLAY button, due yourself a kind favour? Brew yourself a cuppa & find a comfy spot to sit – this is interview is just shy of *forty! * minutes of bookish insight & writerly blissitude of the collective writings of Ms Chris (E. Chris Garrison). She’s a dear friend of mine – as previously disclosed – connected through this series (the Road Ghosts) as explained on my review of the series whilst we had the chance to ‘hear’ each others’ voices for the first time when we were both guests on the Star Chamber Show. Come see why we both *love! * the paranormal & psychological suspense with dashes of Cosy Horror thrown in for good measure! Take a walk into the unknown realms & find an author talking openly & honestly about what excites her about her characters & why she loved writing this epic series entitled: Road Ghosts! Remember: as we both love the paranormal – share your own takeaways about ghosts & hauntings in the Comments! I first discovered the style of Ms Chris’s story-telling when we both appeared on the Star Chamber Show, which is a weekly podcast on BlogTalkRadio sponsored by the publisher Seventh Star Press. Since our first encounter with each other, we’ve developed a friendship I am blessed to have and I appreciate getting to know a bit more about an author whose not only developing a unique style in the world of Fantasy but is receptive to the thoughts readers have as they gain impression by reading the stories themselves. I am disclosing this, to assure you that I can formulate an honest opinion, even though I have interacted with Ms Chris through our respective blogs, the twitterverse, the podcast world, and privately. I treat each book as a ‘new experience’, whether I personally know the author OR whether I am reading a book by them for the first time. For more information, I disclosed a bit more on my first 10 Bookish, Not Bookish Thoughts (read No.7!). I’ve come to love how Ms Chris combines the supernatural with the fantastical – of how she has her own unique style for giving us Urban Fantasy with heaps of quirkified humour wherein the cosier bits of horror which are sometimes laced inside her stories never truly feel oppressively horrific. She keeps the tempo light in her craft but there are keen moments of seriousness abounding in them as well. She hits on harder topics, delves into the emotional and psychological lives of her characters but at the heart of her narratives are rag-tag families who choose to be together (strangers turnt friends who become bonefide family) to take-on whatever sinister forces are out to drag them down. You get the benefit of having all the lovelies you love out of Fantasy intermixed with supernatural entities which could leave a few hairs standing on end – as they are brilliantly conceived and have their own nod of realistic intensity about them but you also know, your in for one wild and wicked awesome ride of a story! You can easily get caught up walking alongside her characters, seeing what they see and experiencing a bit of their lives as you do. They’re ordinary people who have had the extraordinary enter into their lives without too much interference on their end to jump-start the veils between the worlds to disappear. It’s keen how she writes the stories as if everything happening inside them is as natural to occur to her characters as meteorological phenoms. I, especially loved reading this guest post on the blog tour this month due to the fact I hadn’t known the inside bits of how it was created or what was etched inside it until now. Connecting the dots on who inspired ‘Gonzo’ makes sense but also, how Gonzo embodies the spirit of ‘Uncle Chuck’ – this much I knew from reading ‘Restless Spirit’ ahead of the Road Ghosts series. Somehow I had also missed the fact my dear friend is a paranormal sleuth as well – something I’ll happily have to add to our upcoming convo for the tour! As we share a love of parapsychology! Ha! As soon as I saw her saying ‘Scooby Doo for grown-ups’ I smirked like a Cheshire cat! For one thing, who *didn’t! * watch Scooby Doo!? lol This guest post is delightfully engaging for those of us who haven’t had the pleasure of following the series as it released. Blog Book Tour | “Road Ghosts: Omnibus Edition” feat. Four ‘Til Late, Sinking Down, Me and the Devil & the extra ‘short story’ Spectral Delivery by E. Chris Garrison Otherwise known as the Urban Fantasy author who Jorie loves reading due to her wicked sense of wit and wondrous bouts of humour! Acquired Book By: I was selected to be a stop on the “Road Ghosts Omnibus Edition” Urban Fantasy release tour from Seventh Star Press. The tour is hosted by Tomorrow Comes Media who does the publicity and blog tours for Seventh Star Press and other Indie and/or Self Published authors. I am a regular blog tour host with Tomorrow Comes Media, however, the author and I have continued our friendship since we first interacted via The Star Chamber Show (which I’ll expand on in a moment). I have happily become an avid appreciator of her Tipsy Fairy Tales series, however, I had a personal interest in wanting to read the Road Ghosts series at long last (which I’ll expound upon) and thankfully I had the chance to join the blog tour celebrating the series overall. I received a complimentary copy of “Road Ghosts Omnibus Edition” direct from the publisher Seventh Star Press in exchange for an honest review. I did not receive compensation for my opinions or thoughts shared herein. Any writer who can work in the phrase ‘le sigh’ is alright in my book! Little bits of cheeky references to exasperation in regards to Minnie on behalf of Skye and Skye’s particular take on her co-workers, the ordinary life she leads whilst it intersects with the extraordinary, and the manner in which the curious creatures she interacts with whilst the rest of us are oblivious is quite golden folly! She exhumes a particular knack for knowing exactly what to express within a scene and what to stitch inside it as far as everyday observations which inherently become social clues towards the timescape in which the story is set around. You can pick up the nuances of pop culture whilst finding a clear definition for writing in her own style for fantasy elements that spin themselves so organically inside this world. In the past two years I’ve had the chance to get to know Ms Chris a bit better outside of the world of blog tours, I must confess, as I was reading Blue Spirit I felt I could almost hear her voice behind the words as I read the story – as if I somehow have a better understanding of her writerly voice and the approaches she takes towards conveying the story visually to the reader. If this were an audiobook, I nearly have a strong idea already of how it would sound if it were to be read aloud by the author! Little bits of her own personality are definitely threaded into the context but moreso than that, it was a pleasure to notice things I hadn’t seen when I read Seelie Goose! I found myself enjoying this installment of the series so very much, that I found it quite difficult to put the book down in order to blog! I love when that happens – where your completely committed to the story and the words hopefully will come to you to express out to your readership (if your a book blogger, that is!) as you wick off the hours from the clock consumed by where the author your reading is taking you as you wander deeper into the narrative! The transitions between Skye’s Indianapolis and the elsewhere world of the fairies is seamlessly stitched as you can easily move between the segues. The author is transgender which gives her an inside edge towards how to write stories that are highlighting characters like Skye who are trying to lead lives without their sexuality, gender or orientation leading to prejudicial exclusions inside their everyday lives. This is quite apparent when the laws currently in place in the author’s home state are mentioned in one chapter in regards to marriage equality as well as the perceptions of how some of Skye’s friends or friends of her friends view the relationship she has with Annabelle. I consider this series pro-positive for both LGBTQIA+ and Allies alike, as everything pertinent to this side of Skye’s life is told organically and shifts between being humourous and serious, depending on the nature of the exchange or the situation at hand. This is positive I think as it has a very realistic vibe attached to it. Skye is not afraid to speak her mind or to live her authentic truth, even if others are not as prepared to accept her on her terms, she still lives her life owning the truth she has within her and that’s something to applaud. She has her faults (who doesn’t?) but her strengths are her willingness to take-on challenges head-on and remain faithful to those she cares about whilst sorting out mysteries of the unexplained. This is definitely an author to bookmark if your seeking #diverselit and stories of Equality where all characters are realistically written and openly honest about expressing their thoughts, views and feelings. The Road Ghosts Trilogy introduced readers to E. Chris Garrison, one of speculative fiction’s most gifted voices. Presented here for the first time in a single volume, you’ll meet amateur ghost hunters Brett and Liz, along with their friends Gonzo, Jimbo, and Frannie. Go along for the ride as the gang chases ghosts and battles demons, ghouls, and stranger things up and down the interstate highways of the Midwest. Four ’til Late (Road Ghosts Trilogy, Book 1) Brett, Gonzo, Jimbo, and Liz embark on a road trip with dangerous detours, dreadful dreams and dire warnings. Along the way they discover that some spirits leave you with more than a hangover and regrets. Turn up the radio and get moving, because the road ghosts are waiting. Sinking Down (Road Ghosts Trilogy, Book 2) Brett and Liz are back in over their heads when a forest hunt for a roadkill-eating creature offers up a ghoulish little surprise. Worse than that, they find that Brett’s fate is linked to the creature’s. So it’s back out on the road, with unexpected pit stops with a greedy ex, a convention of ghost hunters, partying with fake vampires, and drinking and fighting alongside Uncle Gonzo. Me and the Devil (Road Ghosts Trilogy, Book 3) Brett, Liz, and Gonzo undertake a difficult three-night webcast leading up to Halloween. If they’re successful, they may finally get the recognition Brett seeks. But ever since the events in Sinking Down, Brett has been a little… off. On the first night of the webcast, Brett’s sudden tantrum both boosts ratings and terrifies his friends. As Halloween approaches, Brett’s friends find themselves in a desperate fight to save his soul — and his life. “Spectral Delivery” (Bonus Short Story) Meet Enid, a pizza delivery trainee who’s stuck riding along with ghost-geek Brett on Valentine’s Day night. Her boyfriend begs her to try to get off early, but things get weirder and weirder as she and Brett encounter the paranormal at every stop. E. Chris Garrison writes Fantasy and Science Fiction novels and short stories. She used to publish as Eric Garrison, but has since upgraded. Her latest series is Trans-Continental, a Steampunk adventure with a transgender woman as its protagonist. The series is set in one of the worlds in Chris’s dimension-hopping science fiction adventure, Reality Check, both of these series are published through Silly Hat Books. Silly Hat Books released Alien Beer and Other Stories, a collection of her short stories, in 2017. Chris’s supernatural fantasy stories include the Road Ghosts trilogy and it's companion series the Tipsy Fairy Tales are published by Seventh Star Press. These Urban Fantasy novels are humorous supernatural fantasies, dealing with ghosts, demonic possession, and sinister fairy folk delivered with a “lightly dark” side of humor. Her novel, Reality Check, is a Science Fiction adventure released by Hydra Publications. Reality Check reached #1 in Science Fiction on Amazon.com during a promotion in July 2013. Chris lives in Indianapolis, Indiana, with her wife, step-daughter and cats. She also enjoys gaming, home brewing beer, and finding innovative uses for duct tape.